At the heart of Aroma Academy’s training is a set of purified aromas that combine to re-create the “tasting” experience. 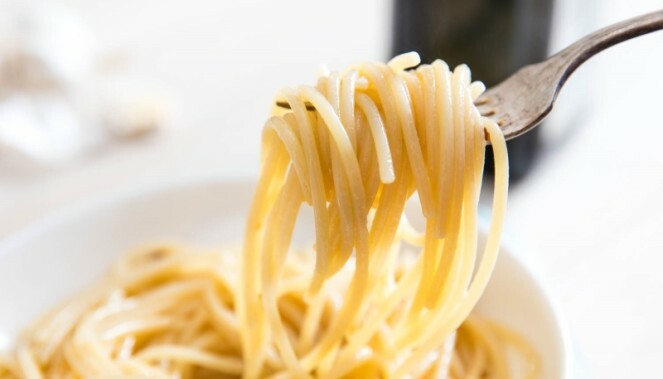 The training method is to build flavors up rather than breaking them down. 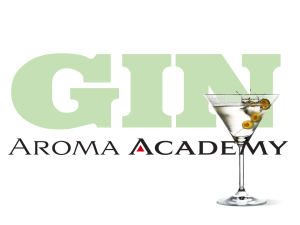 The Aroma Academy teaches professionals how to “nose” fine spirits and wines. How Much Water to Add to Whiskey? 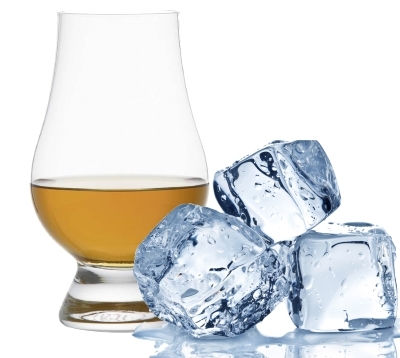 It’s a long-running argument: what’s the perfect amount of water to mix with Bourbon to bring out the nose? 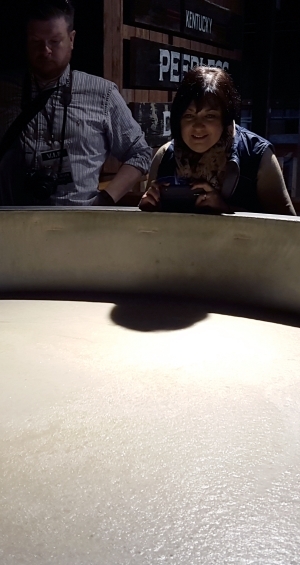 Around the table a small group waited – hosted by Old Limestone Mixing Water, which bottles mineral-heavy, incredibly pure water from beneath the Bluegrass specifically to be used to cut Bourbon. In a line across the table, glasses — each containing an ounce-and-a-half of 119-proof whiskey mixed with from one drop to 1.5 ounces of water. As the host poured the Bourbon, the long-running argument continued. A woman at the end of the table argued that a single drop would magically break the surface tension of the water to release the Bourbon’s heady complexity. The guy next to her argued that a one-to-one mix with absolutely pure water would dilute the alcohol enough to protect the delicate tissues of the nose, allowing longer, more deliberate sniffing. Everyone else occupied positions in between. One group sniffing one whiskey does not settle this kind of argument, but it’s interesting how quickly a consensus developed. The favorite: the 2:1 Bourbon-to-water mix. Above that, the nose was weak and watery. Below, the alcohol fumes made it hard to separate the nose’s aromatic subtleties. As a barrel-strength whiskey, the 2:1 cut lowered the proof to 80, the standard bottle strength of most whiskey brands. You can make the argument, as some did, that the importance is not that the cut itself but the resulting strength of what’s in the glass. Assuming normal 80-proof bottle strength, a single drop might be exactly the right amount of water to use. Others debated how a single drop of water in a Bourbon that had already been cut from barrel to bottle strength could possibly make a difference. The debate continued unabated until everyone turned to a scientist who had been sitting quietly throughout. She shrugged. She held out her glass for more. 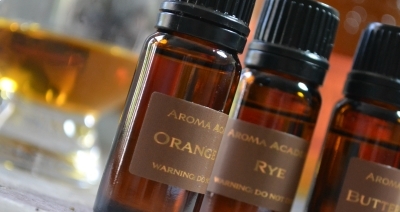 Aroma Academy believes the aromatics of fine spirits and wine are best understood by learning individual aromas. There are a lot of different ways to do this, but this is one of our favorites. It immediately ties specific aromas with specific brands, and helps you identify the broad differences between those brands very quickly and with a minimum of frustration. Below are the specifics of a half-hour nosing session, right down to the brands you’re sampling and the aromas you’ll learn. It gives you a framework that applies to any set of Bourbons and aromas you want to learn about. If you want to put together a nosing of collectible exotics, this will help you understand why they’re special. If you want to slap together a sniffing of what you already have on your shelves, go for it. You’ll be surprised how quickly your understanding of fine whiskey expands. So, off you go. Let us know how well it worked for you. 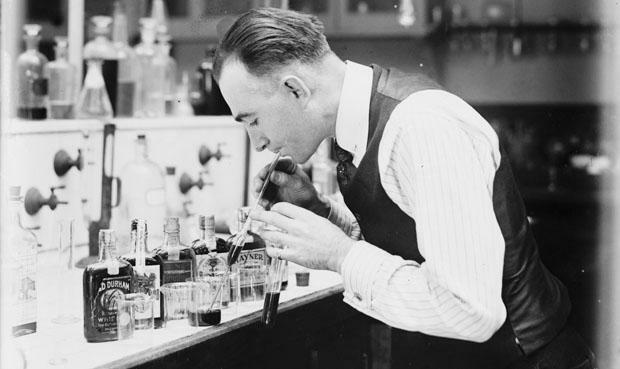 Every now and then, Dr. George Dodd puts together fairly detailed notes on different aromas prominent in fine drinks. Dr. Dodd has one of a the best developed noses in the world. He’s a professional perfumer and directs the Institute of Olfactory Research at the University of Warwick in Scotland. Here are his notes on the aroma of cassia bark, which adds a surprising, spicy note to modern gin. Few people know the aroma of Cassia Bark. The cassia tree is an evergreen found in east Asia. There is a distinct overlap in the aroma profiles of the oils from cassia and cinnamon. When you smell it, the ravishing, hot, spicy, and distinguishable “cinnamon-like but heavier” aroma is very evident. This is the archetypal hot, spicy smell. It arouses and conjures feelings of being in markets in far-off Asia or Africa. The major molecule with the characteristic cassia aroma is cinnamic aldehyde. It’s a powerful odorant that makes up between 70% and 90% of cassia oils — a greater concentration of aromatic oil than is found in cinnamon. Like all aldehydes, it is prone to oxidation. It’s important, when using cassia bark to make a spirit, that the oils be extracted during the distillation rather than before. Cassia is mentioned in the Bible (Exodus 30:24) as a constituent of holy anointing oils. 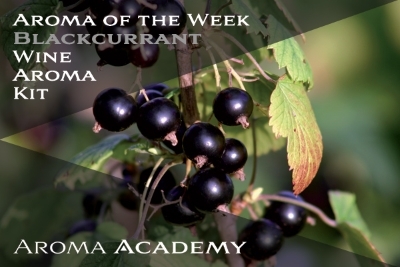 It is one of the foundational herbs of traditional Chinese medicine. It’s blood-thinning qualities can damage the liver, and European health agencies have warned against its overuse. Coumarin, the medically active ingredient in cassia does not make it through the distillation process into the gin. 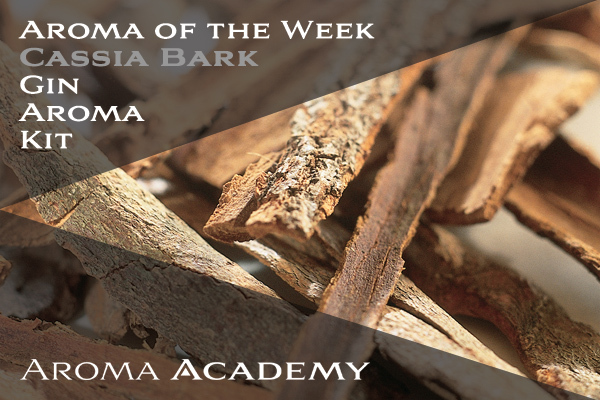 When nosing the cassia solution in Aroma Academy’s gin aroma kit, you will notice that it changes over time. On the first whiff, ‘something’ is there on the wet Aromas Strip — simultaneously vaguely familiar and exotic. Over a few minutes, as the strip dries, that note metamorphoses into a clear, dark, spicy note that is cassia bark’s contribution to the gin. It’s somewhat like cinnamon, as noted above, but more complex. Bombay Sapphire pioneered cassia bark in gin, establishing it as a marker for new-style gins. It’s distinct in other brands, including Martin Miller’s, Ophir Oriental Spiced Gin, Bathtub Navy Strength, and Langley’s No. 8. We think our friend Guy Rehorst at Great Lakes Distillery is sneaking a little into his Premium Milwaukee Gin, too. Learn more about the gin aroma kit here. All joking aside, women (in general) have more acute senses of smell than men. The reason for that, according to aroma research published in Brazil, is the number of neurons found in the brain’s olfactory bulb. Wedged down between the top of the nasal cavities and the bottom of the frontal lobe, the olfactory bulb is a computer, of sorts. It processes raw data from the nose into information the rest of the brain can use. Women’s olfactory bulbs are bigger than men’s — significantly bigger, as it happens. Women have almost twice as many of the cells that sort and categorize smell information. The result of all that extra processing power is that women detect and identify odors at far lower concentrations. They also learn and remember particular aromas faster and better. At every age and stage of life, women smell better than men. Women also prefer different aromas than men. Generalizations of this sort are always risky. But to the layman, the apparently genetic smell preferences uncovered by the researchers explain a lot about why it’s hard for men and women to live together. For example, women are more likely than men to be able to detect and be disgusted by various body odors. (Does this sound familiar to anyone?) Women prefer the aromas that underlie many florals: camphor, citronella, menthol, and ferric valerian. Men, on the other hand, prefer manly aromas like cedar, pine, and musk. The physical differences between men and women at least partially explain differences in drinks selections. Gin that is lighter and floral are said to be “feminine,” for example. Less subtle, juniper-heavy gins are masculine. The same goes for wines. Again, generalizations only explain so much. We certainly know a lot of women who attack a robust Bourbon or gargantuan Cabernet with all the zest of any man. But the physical differences are real, and would seem to indicate that the under-representation of women as both sommeliers and master distillers is based on culture, not biology. If it were up to biology…look out, guys. For more, like us on Facebook or follow us on Twitter. Everything is confirmed: at 2 PM on Tuesday, September 20, we will hold the very first Introduction to Rum at Lost Lake Tiki Bar in Chicago. 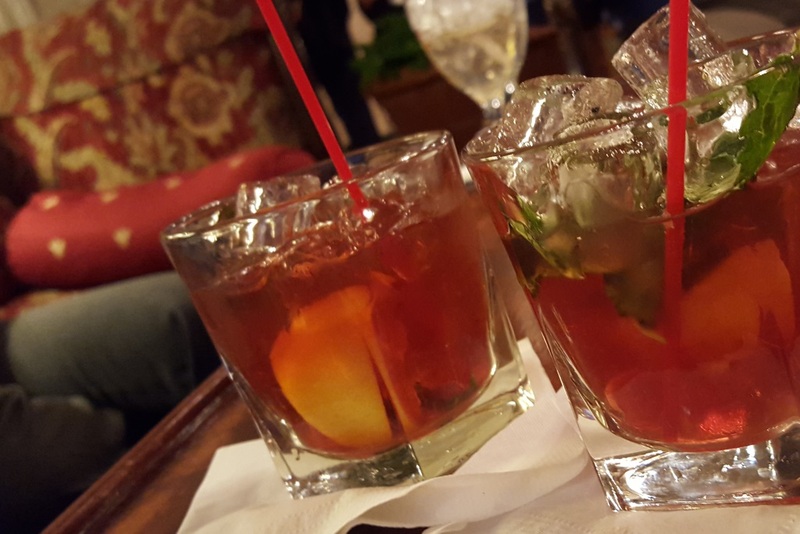 The rum training is new to the U.S., and we couldn’t be more excited. It’s a fine spirit that’s getting even finer, with craft producers releasing new interpretations of the cane-based classic without robbing it of its tiki bar vibe. For us, Lost lake is the perfect venue, a whole staff of rum aficionados and a back bar that will keep everyone sniffing and tasting long after the class has ended. Because it’s the day before the Chicago Independent Spirits Expo, where we will participate in a panel discussion on nosing fine spirits, we’re going to offer the best price we’ve ever offered: $25 for a two hour introduction. 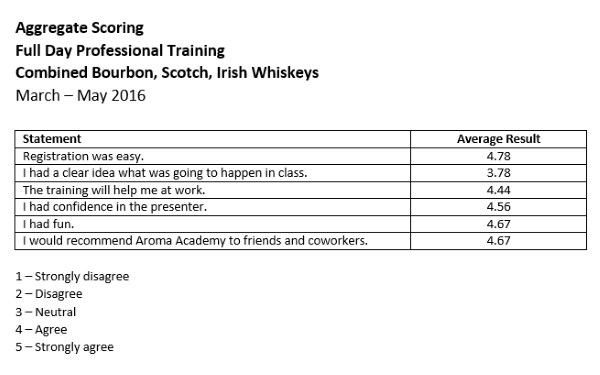 Attendees will also be offered $50 off Aroma Academy’s new rum home training kits. We’re very excited. There are only 24 seats available. If you’d like to buy a ticket, visit out Shopify store. For now, we’re keeping it on ice. 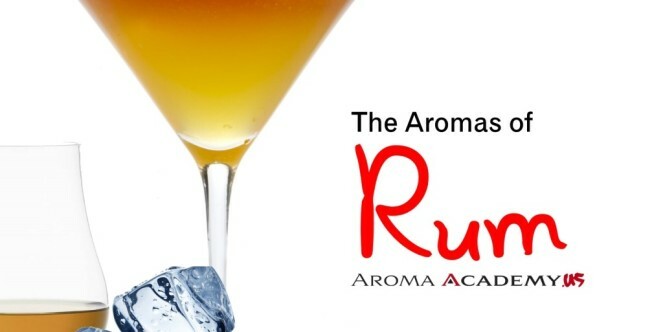 But on June 15, Aroma Academy US will offer the first American training in the aromatics of fine rum. Like whiskey and tequila drinkers, rum consumers are gravitating toward more expensive, distinct brands. They are finding an enormous stylistic range, from crisp, pure white to dark, evocative, barrel-aged varieties. And they’re increasingly on the hunt for what’s new and interesting. Add to that the warming of relations between the United States and Cuba, which will bring Cuban brands and approaches to the forefront, and we think rum has next-big-thing potential.